TV show dates: July 12, 2017 — September 17, 2018. Performers include: Santiago Cabrera, Jennifer Finnigan, Charlie Rowe, Jacqueline Byers, Rachel Drance, Shazi Raja, and Ian Anthony Dale. 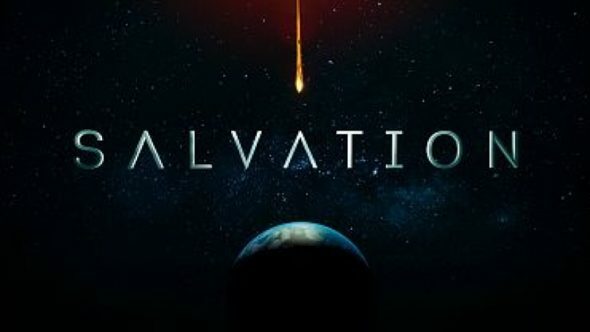 A thriller drama, the Salvation TV show follows MIT graduate student Liam Cole (Rowe) and tech genius Darius Tanz (Cabrera). Because they don’t want to cause public panic, the two present Pentagon Press Secretary, Grace Barrows (Finnigan), with evidence that in six months, a huge asteroid will crash into the Earth. A single mom as well as a working professional, Grace is used to doing it all. Now, she has to figure out how to negotiate this difficult situation. Meanwhile, keeping this secret makes life harder for Liam and his nearest and dearest. Deputy Secretary of Defense Harris Edwards (Dale) is running the D.O.D.’s top-secret operation to deflect the asteroid. At the same time, Darius is working with Jillian (Byers), a rookie science fiction writer, on a different approach. Can anyone save humanity from this impending doom? First aired: September 17, 2018. What do you think? Do you like the Salvation TV series? Should it have been cancelled or renewed for a third season on CBS? Why leave everyone hanging…can’t the SiFi channel, Netflix, amazon prime or Hulu pick this show up? I am very disappointed with decision to cancel Salvation. It would have been nice to have a proper ending. Why should anyone watch a new show, when you never know if you will be left hanging when it is cancelled. I agree that it is a shame to cancel Salvation. From the final episode, I can see very interesting material that would, certainly, constitute a good basis to continue the series.